. إن Camden Motor Inn حريص على توفير الراحة للنزلاء، فلا يوفر الموظفون جهداً في تقديم أفضل الخدمات وضمان حسن الاستقبال. يقدم هذا الفندق العديد من الخدمات الكفيلة بإرضاء أكثر الضيوف تطلباً. يمكن للنزلاء الاختيار من ضمن مجموعة من الغرف المصممة بعناية لتعكس جواً من الراحة، والتي يتجاوز عددها 15. صممت خدمات الاستجمام في الفندق والتي تتضمن مسار جولف - ضمن 3 كم, حمام سباحة خارجي, سبا, مسبح (للأطفال), حديقة لمساعدتك على الاسترخاء والراحة. يشكل Camden Motor Inn بخدماته الراقية وموقعه الممتاز، قاعدة مثالية للاستمتاع بإقامتك في جولد كوست. العقار لا يسمح بحجوزات حفلات نهاية السنة الدراسية. ليس لدى العقار سياسات و إجراءات أو الموارد لتلبية الإحتياجات الفريدة المطلوبة لحفلات تخّرج المدارس خلال فترة هذه الإحتفالات السنوية. لهذا السبب يحتفظ العقار بحق رفض الحجوزات من خريجي المدراس و /أو الجامعات خلال كامل فترة الإحتفال. Just unhappy we were in the very bottom room where the carparks were (Bit dodgy looking). Asked for a room upstairs but there was none available. However, it was good value for what it was and staff did their best. The location was great. A walk away from the beach and drive away from nice restaurants. Thanks Sarah - glad you enjoyed Camden - some guests like to be next to their car at car park level and walk straight into room whilst others prefer higher up - sorry we were fully booked your night and couldn't move you upstairs - otherwise, as you say, it's a great little spot - see you again soon - cheers Rossco and Jac. Great value for money, lovely friendly hosts who work hard to ensure comfort for their guests. Most impressed with their high level of cleanliness, and a real treat to find laundry facility. 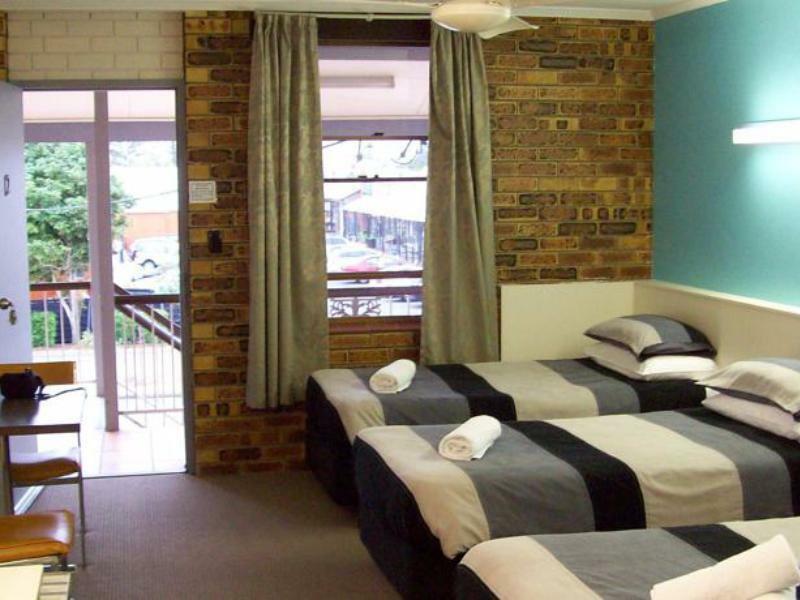 Rooms are well services with kitchen utensils and the beds are lovely and comfortable. More comfortable than the regular hotel. Thanks again guys. 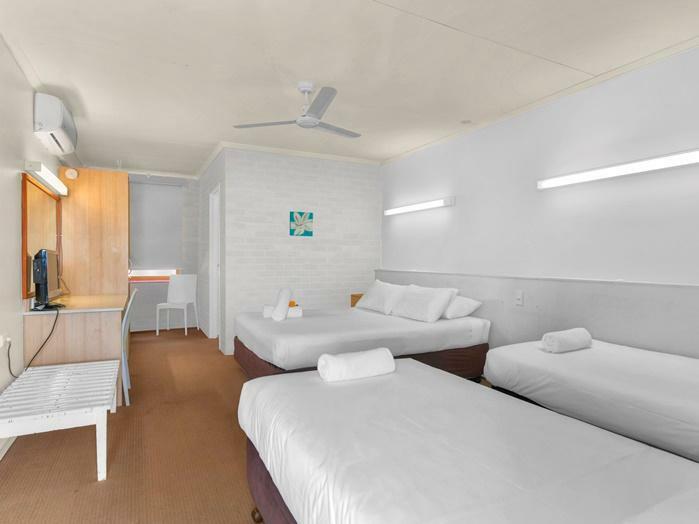 Excellent news that you enjoyed Camden, Katie - we moteliers love to see satisfied guests - hope to see you again at Mermaid Beach and I will pass on your comments to the girls who service the rooms ( my wife !! ) - cheers Rossco and Jac. That just about sums up Camden thanks Olija - glad you enjoyed your stay - hope you got to some of the fabulous restaurants across the street - cheers and see you again at Mermaid Beach - Ross and Jac. Nice feedback thanks Jonathan - that just about sums Camden up perfectly - see you again soon - cheers Rossco and Jac. Glad you enjoyed Mermaid Beach, Peter - see you again soon at Camden . Cheers Rossco and Jac. 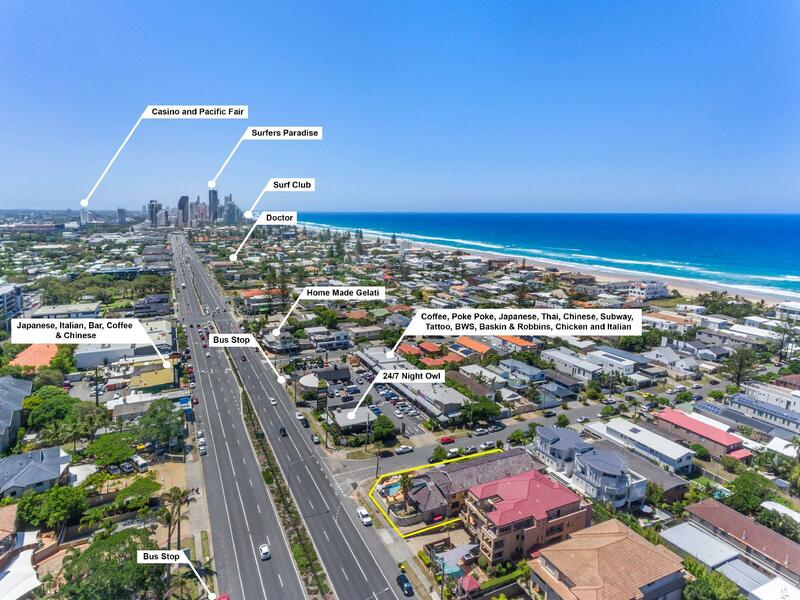 Many thanks Matthew for your kind words - glad you enjoyed Camden - we love living at Mermaid Beach too. Don't for get to try the seven fabulous restaurants across the street next visit. Cheers Rossco and Jac. 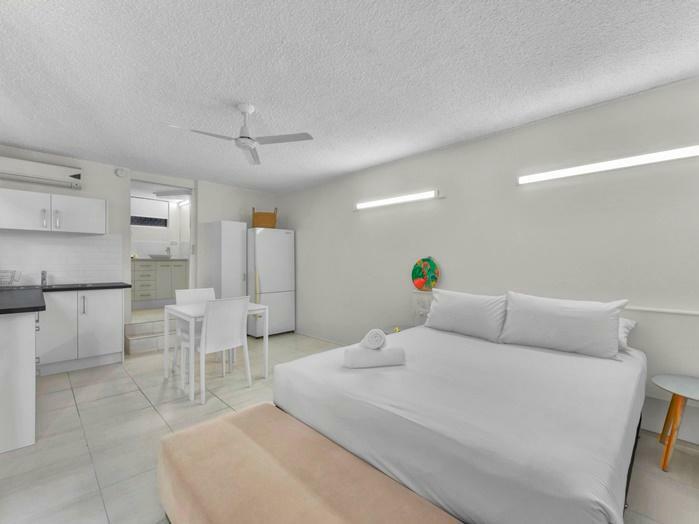 Our room # 16 is very big, true to picture, very clean, has all white furnishing and seems to be newly renovated although some fixtures are old but efforts have been put in to refurbished as much as possible. Owners were very accomodating & acceded to our request to check in early. Although the hotel was full on the Saturday night we were there, it was quiet. Location is convenient, bus stop to the airport is a 2 min walk away, Pacific Fair is about 20-25mins walk. There're many restaurants right outside the hotel and a Spar Express 5 mins walk away. Owner told us that our room will not be serviced on the 2nd day of our stay and towel change & additional coffee / tea is available at the reception. There was no need for that as we're ok to re-use towels & coffee / tea in room were plentiful. The only issue we had was with the bed. It was firm & we like firm bed but somehow didn't find it very comfortable. Maybe we are used to bigger bed. Overall satisfied & will recommend the hotel. Thankyou so much for your kind words Choy - we are glad you enjoyed your stay. We love living here too - Goccia Italian is our favourite restaurant across the street but Poke Poke and Lucky Buddha also very good. Re our beds, we have gone for a medium range - not too hard , not too soft ! See you again soon at Camden, Cheers Rossco and Jac. Good position. Clean. Perfect if you’re not looking 5star facilities, just somewhere to sleep. Thanks Ray - glad you enjoyed Camden - see you again soon. Cheers Rossco and Jac. Great location, staff very friendly. Parking available and rooms clean and tidy. Glad you enjoyed your stay Vanessa. We love it here to, especially with all the new restaurants opening up ( Goccia Italian our favourite ) . Cheers and see you again at Mermaid Beach. Rossco and Jac. The pool is good with spa and clean water. The room is clean. Location is OK with local shops nearby. Thanks Kwok - glad you like the place as much as we enjoy living here. See you again at Mermaid Beach. Cheers Rossco and Jac. 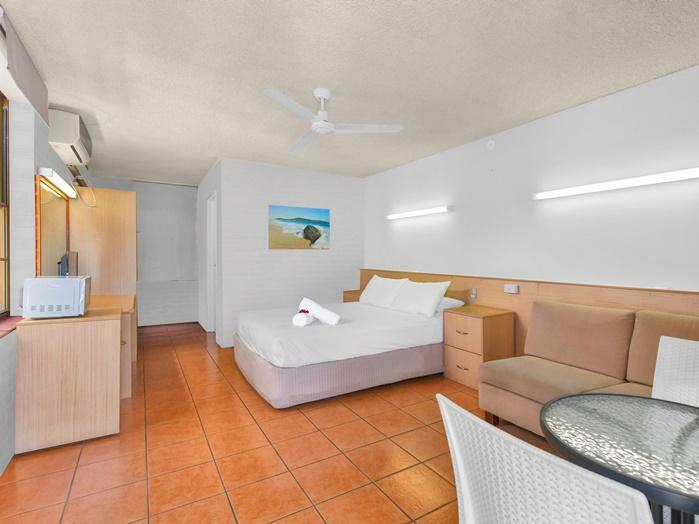 Good Budget accommodation - 1 block from beach - good variety of restaurants near by. Thanks David - hope to see you again at Mermaid Beach. Cheers Rossco and Jac. Hey Rod - thanks for your kind words - you are welcome back any time and glad you enjoyed your stay. Cheers Rossco and Jac. Stayed overnight on business, great location with plenty of restaurant choices within walking distance. My room was basic but very clean and tidy, comfy bed, cold a/c, plenty of hot water and secure off road parking, would definitely stay there again. Roscoe was very welcoming. Thanks Rob - what kind words you have. See you next time at Mermaid Beach. Cheers Rossco and Jac. 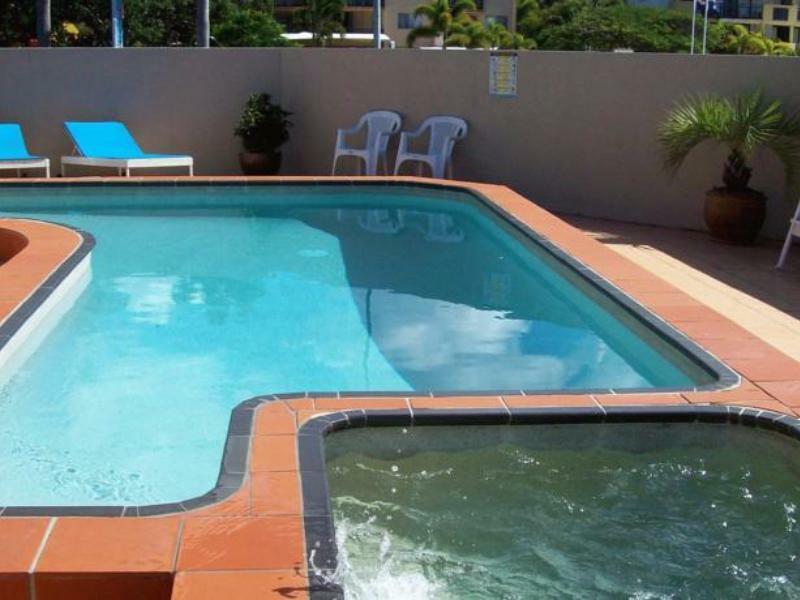 Thanks for your kind words Dianne - maybe we will see you again here at Mermaid Beach. Cheers Rossco and Jac. Many thanks for your kind review. Jac and I have taken over Camden from 28.2.2017 and have commenced a program of upgrading the facilities inside and out. We hope to again host you next time you holiday in this beautiful part of the world. Cheers Rossco and Jac. Clean, comfortable bed. Short walk to Beach. Close to places to eat. Good value. We purchased Camden Motor Inn 6 months ago and noticed you have stayed here previously. We would welcome you back - you will notice some big changes. Cheers Ross and Jac Given. Staff were friendly. It was a reasonable room for what we needed for the night.